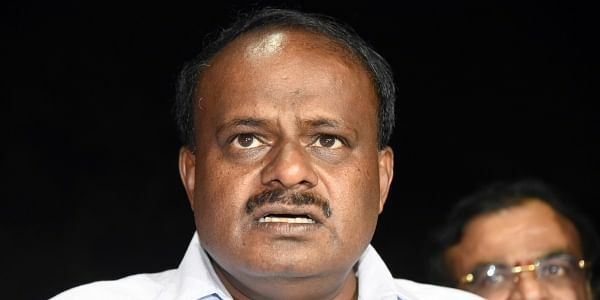 Satish’s meeting with Kumaraswamy comes days after he resigned the All India Congress Committee Secretary post miffed about not being included in the coalition government’s Cabinet. BENGALURU:The trend of disgruntled Congress MLAs meeting Chief Minister H D Kumaraswamy refuses to die down. A day after C S Shivalli met Kumaraswamy, Satish Jarkiholi met the latter at his residence on Saturday. Satish’s meeting with Kumaraswamy comes days after he resigned the All India Congress Committee Secretary post miffed about not being included in the coalition government’s Cabinet. The Yemkanmardi legislator was the first to openly allege a conspiracy by Congress leaders against making him a minister. Making his dissent conspicuous, Satish declared that he would resign from AICC secretary post a day after the swearing-in ceremony of new ministers. “I came to meet the Chief Minister to discuss the development of Belagavi. I am a people’s representatives and will work towards their welfare. I will continue to work for strengthening of the Congress,” Satish Jarkiholi told reporters after meeting Kumaraswamy. Satish made it clear that he had not given up on his aspirations to become a minister, but claimed that he was more interested in pushing his supporters forward. “I still have hopes of becoming a minister, but I will wait for two years. I want to ensure that our MLAs get inducted into the ministry and get appointed to boards and corporations,” Jarkiholi said. The coordination committee headed by Siddaramaiah has decided to make appointments to boards and committees first and then consider names for a Cabinet expansion. Satish Jarkiholi’s visit to Kumaraswamy to discuss “development” overlooking party colleague and Deputy Chief Minister G Parameshwara on the day the CM was scheduled to leave for New Delhi is further strengthening talks of Kumaraswamy emerging as the new point person for disgruntled Congress MLAs to voice their concerns. Satish’s meeting with Kumaraswamy comes two days after AICC general secretary K C Venugopal spoke to Jarkiholi and M B Patil and appealed to them not to indulge in public display of dissent. Chief Minister H D Kumaraswamy is in New Delhi to take part in the NITI Aayog meet. The fourth annual NITI Aayog governing council meet will be a first for Kumaraswamy.On Saturday evening, he met his Andhra Pradesh counterpart Chandrababu Naidu, West Bengal Chief Minister Mamata Banerjee and Kerala Chief Minister Pinarayi Vijayan. “I met and thanked them for their presence during my swearing-in ceremony. I also intend to meet Prime Minister Modi and Nitin Gadkari to discuss the issue of Cauvery Management Board, Kumaraswamy said. He added that he has sought time to meet Congress president Rahul Gandhi in the backdrop of dissidence in the state Congress.